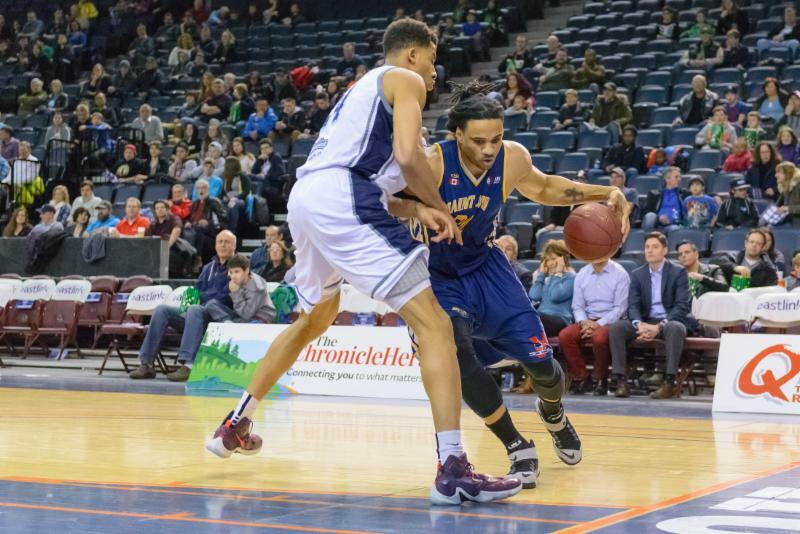 The Saint John Mill Rats were short handed playing with centres Anthony Stover and Ricky Volcy, and it showed as they dropped a road game to the Halifax Hurricanes, 127-93. Saint John started slow yet again, but trailed only 27-22 when Olu Famutimi nailed a corner three pointer with 2.2 seconds left in the 1st quarter. But Justin Johnson nailed a nearly full court shot off the glass in retaliation to push the Hurricanes lead to 30-22. It was that kind of night for Saint John, who couldn’t get much to drop from the perimeter while being forced to play small-ball. But on the interior, they had no answer for the bigs of Halifax. And no one stopped the penetration or scoring from Halifax point guard Justin Johnson. The Hurricanes led 60-39 at the half, and won going away 127-93. The Mill Rats record falls to 18-12 while the Hurricanes improve to a league-leading 19-8. Saint John was led by Doug Herring Jr with 17 points, Gabe Freeman 15, Chris Smith 13, Jabs Newby 12, and Garrius Holloman 10. Johnson led Halifax with 31. Saint John now has a week break to heal its wounds and get back to the basics at practice before beginning an 8-game home stand in April, beginning on the 2nd as they host the Moncton Miracles.